The South-West office of the President Muhammadu Buhari 2019 Campaign Organisation was on Monday inaugurated by some of the President’s supporters from the geopolitical zone and other parts of the country. Among those who were present at the inauguration were a former Nigeria Ambassador to Qatar, Dr Bawa Abdulahi, a member of the organization's Board of Trustees, Isaka Hassan, the group’s acting Deputy National Coordinator, Daniel Omofeso, the acting National Secretary, Deaconess Rita Solari Inko-Tariah, and others. At the event, the group also appointed coordinators for the six states in the zone. The National Coordinator of the organisation, Danladi Pasalli, said the South-West had always played a prominent role in the politics of the country, saying it was one of the pillars behind the success of the campaign organisation of Buhari in the last presidential election. Pasalli said that Buhari had made tremendous recovery in London, saying that he would soon return to the country. He said that the organisation would, as part of its strategy to woo voters, assist farmers to get direct loans from the Central Bank of Nigeria. 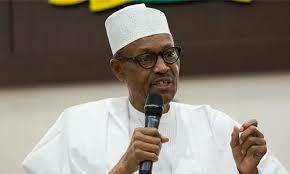 The patron of the organisation in the zone, Ahmed Ajibade, said even if Buhari was not strong enough to withstand campaign stress and pressure, the group would work to ensure his victory in the 2019 presidential election. “We will not allow those who will suffer Nigerians to get to the throne, the masses will not allow them. Everybody must rise in support of the President in his effort to transform Nigeria into a country of our dream. Buhari stands for honesty, simplicity and he is a straightforward person. He is the only one that is capable of transforming the country at this crucial time,” he said.